The adventures of a 16-year-old boy named Fred, who has friends that are ghosts, giant cookies, goths, and weirdos. Fred decides to get his driver's license and enrolls in driver's ed. While waiting for his driving instructor, Fred accidentally becomes an accomplice to a bank robbery! Kids and neighbors have witnessed Fred committing petty crimes, most of which happen to Kevin's house. Fred declares his innocence but nobody believes him. Fred starts a lemonade stand in his front yard (complete with tables and chairs, a bathroom and free wi-fi) and it becomes so successful he has to hire an employee. Fred suspects that his new music teacher is a vampire and sets out to prove his theory. The official music video for "Christmas is Creepy" from the album Its' Hackin' Christmas with Fred - A Christmas classic from Fred Figglehorn! Q: What Actor plays Bertha? 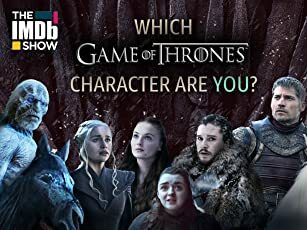 Q: Isn't Fred: The Show, based on a YouTube WebShow? Q: Is Fred his real name? Who the hell conceived this? And why? Oh. My. God. Just when I thought kids' TV could not sink any lower, somebody at Nickelodeon had the idea to air this utter drivel. An open letter to Nickelodeon should start with this, "Who decided to conceive this televisual monstrosity? And WHY?" I get that you shouldn't hide who you truly are, but Fred...OMG he acts like a deranged five-year-old and his voice is like a cross between a screaming banshee and Michael Jackson if someone kicked him in the crotch. 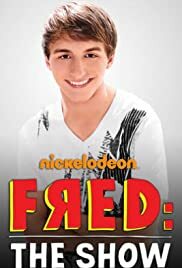 All I can say is, "Thank god, this was cancelled and Lucas Cruikshank left Nickelodeon after this and Marvin Marvin, another televisual train wreck".